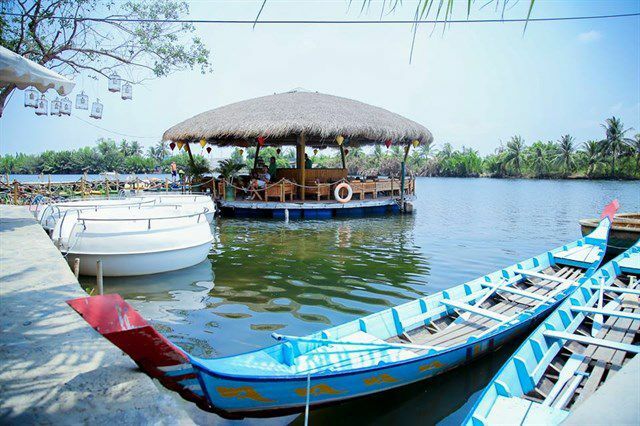 About 15km away from Ho Chi Minh City and considered as the ecotourism village nearest Saigon, The ecotourism village Tre Viet (The Bamboo village) attracts tourists not only by the scenic backdrop of miniature countryside but also a host of exciting entertainment services. 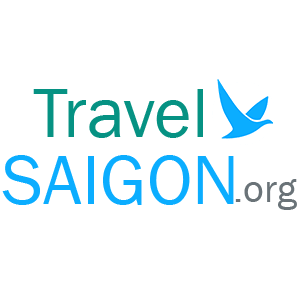 Coming here, the first impression you can see is the countryside and fresh air scenic that cannot be found in Saigon. The Bamboo Village is built entirely from bamboo with unique architecture as well as bucolic setting, the mixture of rusticity and modern. You will be relaxed in a cool scene with the coconut and the rustic bamboo hut that help you feel very close and comfortable. 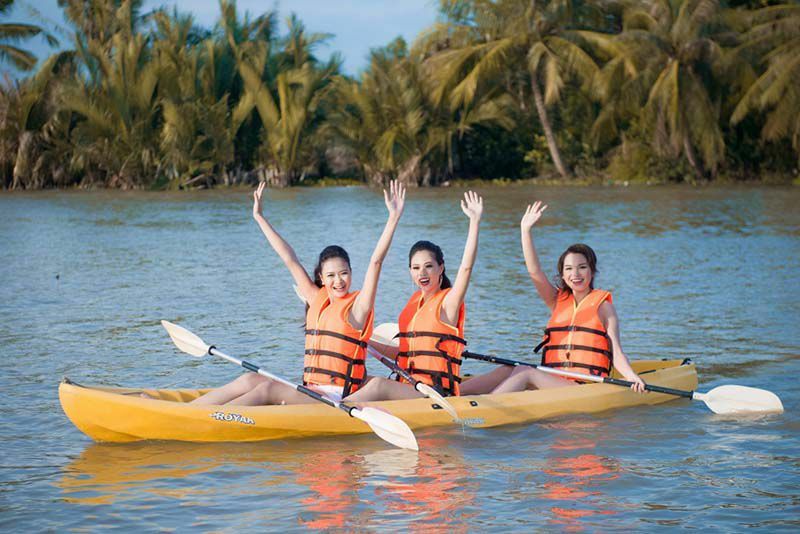 It’s best for a weekend outing to the Bamboo Village, you can try exciting water sport such as: swimming, kayaking, rowing boats, bamboo boats, boat racing, banana boating, river biking or obstacle courses. 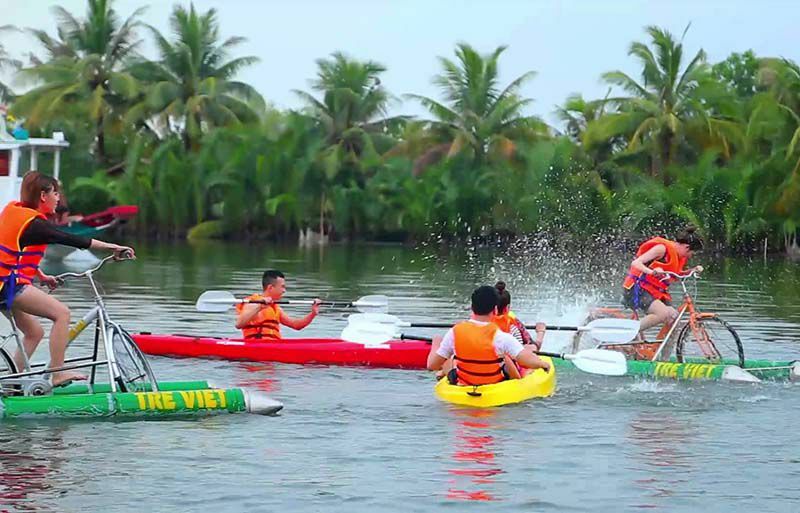 Besides you can also play outdoor games in the super wide white sand beach at the campus of Tre Viet. Entrance ticket: Monday – Friday: 50,000 vnd/person including swimming pool. Saturday – Sunday: From 8am to 1pm: 330,000vnd/person combo buffet tickets (including entrance tickets + pool + lunch buffet + free boat racing + river bike + magic show, circus + moon cake ). After 1pm, normal ticket sale is 50,000 vnd/person (no buffet). With a cool and natural space , the Bamboo village Ho Chi Minh will be the ideal destination for your weekend day out in Ho Chi Minh City.